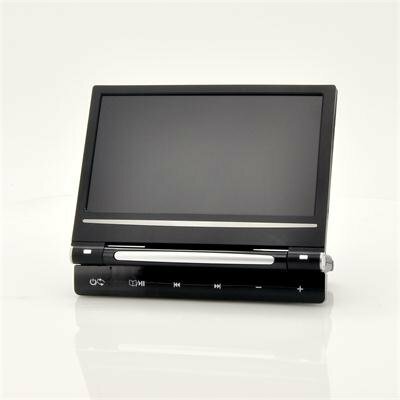 Successfully Added Car Headrest DVD Player - 9 Inch, Touch Button to your Shopping Cart. 9 inch headrest monitor with a FM transmitter, touch button control and built in DVD player for a great all in one car media system for backseat passengers. Additionally, this device is incredibly simple to install. Just strap it to the back of your headrest and off you go! No fuss, no stress. Get your car DVD and multimedia entertainment at your fingertips in a matter of minutes without the hassle of selecting the correct color and professional installation of a headrest for your car. So, if you have been toying with the idea of fitting a DVD player inside your car for the family, then this is the time to do it and this 9 inch touch button DVD player with FM transmitter capabilities is the car DVD player to do it with! Now you can have full in car multimedia on your next trip with this great 9 inch LCD screen multimedia headrest DVD player from the one and only leader in direct from China wholesale car electronics - Chinavasion. ACQUISTATI 2 ARRIVATI IN UNA SETTIMANA IN ITALIA COSTRUITI BENE E FUNZIONANO!!!!!!!!!! !